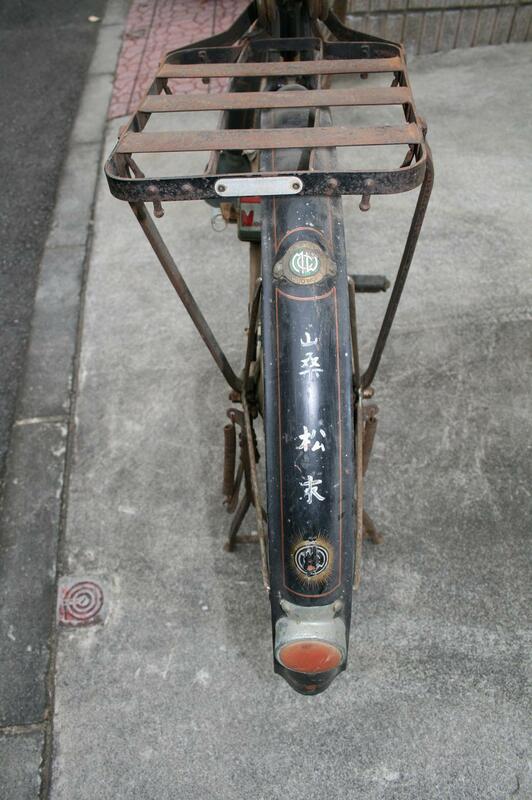 There are many distinctive features of vintage Japanese bicycles from the 1950's as compiled in They Don't Make Them Like They Used to Part 1 and Part 2. 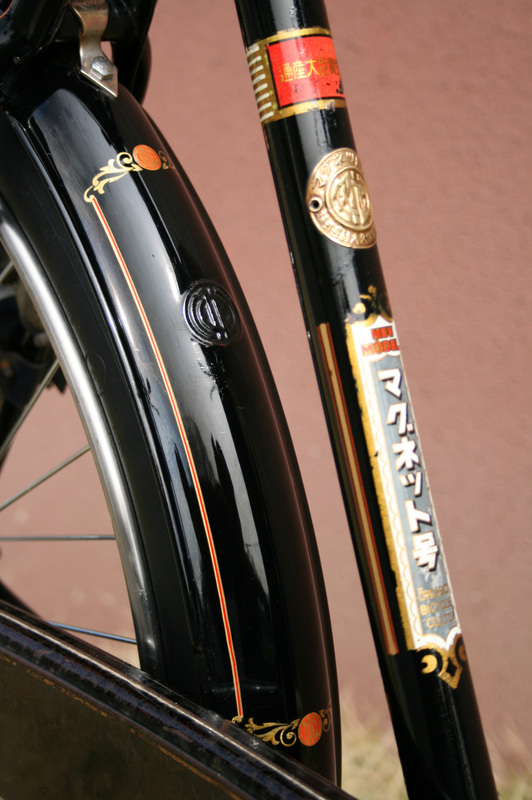 One of these distinctive features is black bicycle with gold pinstriping. 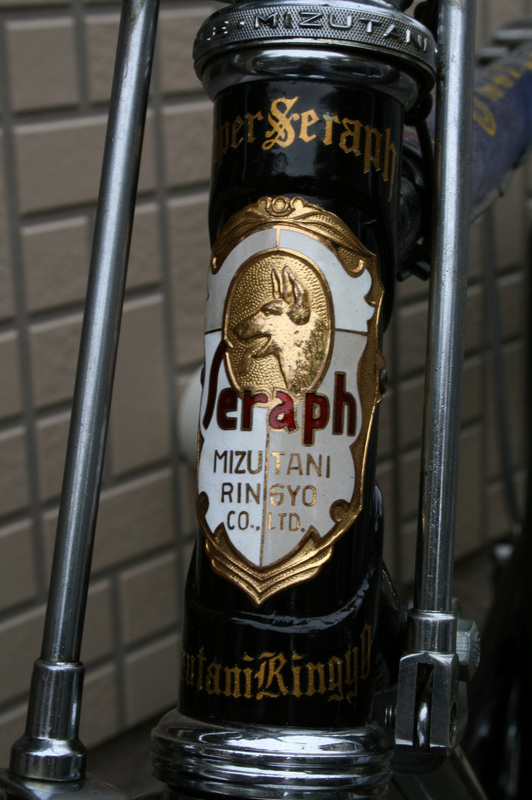 Click on the photo below and note the gold accent all over the bicycle. 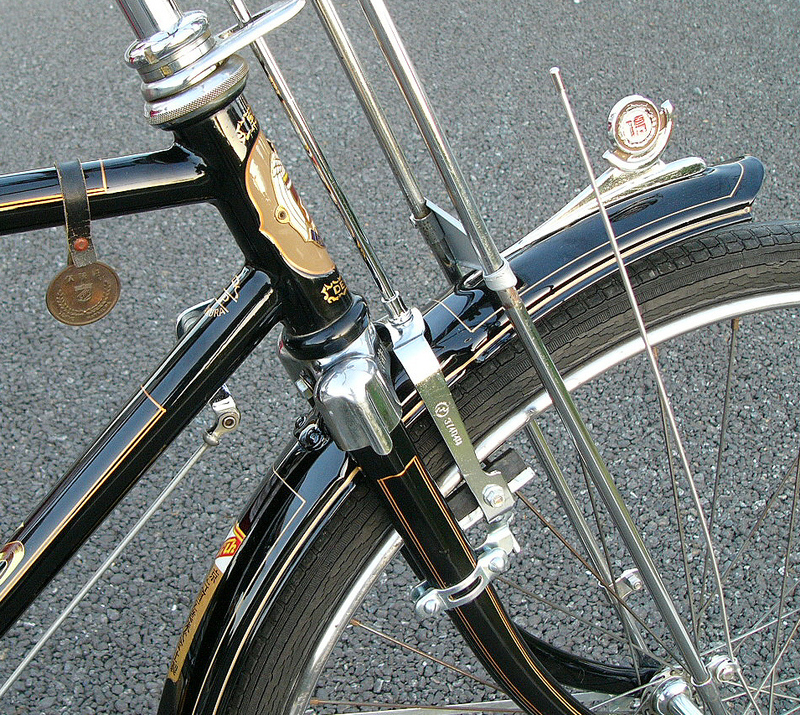 Note: Front fender, rear fender, top tube, down tube, seat tube, fender stays, forks are all meticulously outlined in gold. 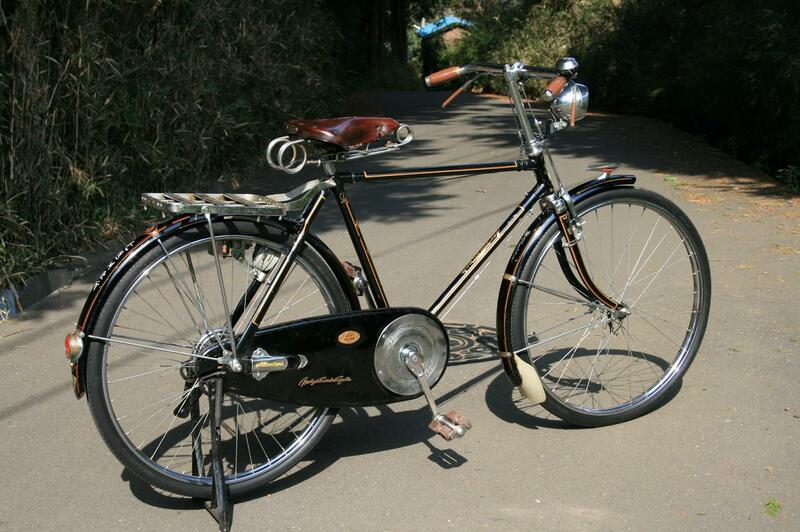 I believe the 1950's to be the golden age of utility and carrier cycles in Japan. 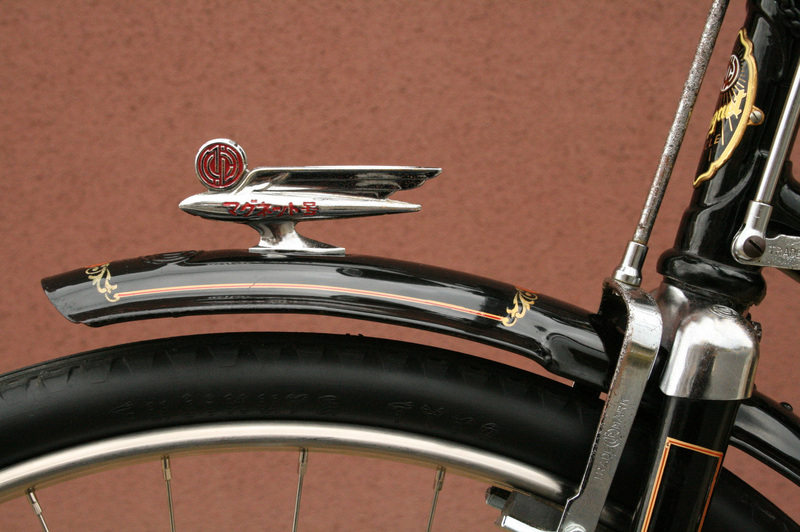 At that time bicycles were the only affordable means of private transportation. 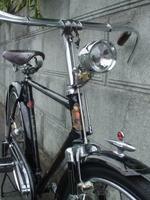 They held the status of an automobile and cost two to three months' salary. Up close one can recognize that the pinstriping is hand painted. Many are two tone, each company apparently having their own preference and pattern. Gold line with red center (below), gold with orange inner line, gold with inner white line, gold dual lines, etc. 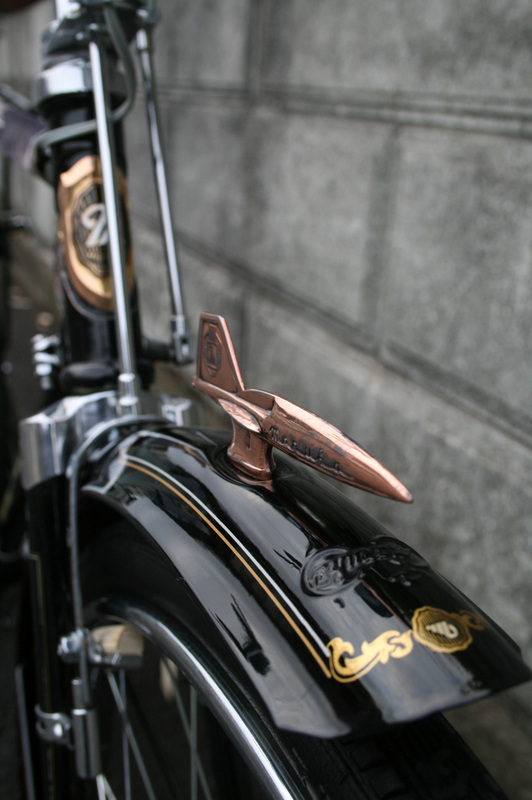 Photo: Close-up of pinstriping on front fork of Tomishika heavy duty carrier cycle. Photo courtesy of Mr. Yatabe, my dear friend and mentor at Long Life Cycles (長寿自転車商会）. 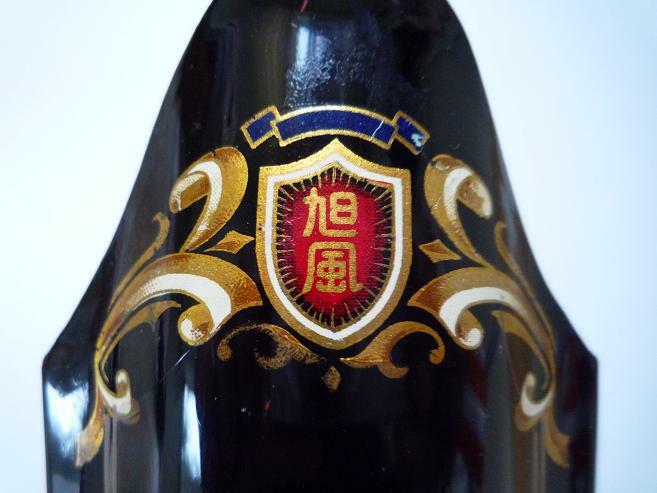 The fancy gold leaf is a transfer (decal), not hand painted, but still very elegant. Again, pinstriping is hard to see so as with all the photos in this post please click on to enlarge for a better view. Above photo courtesy of fellow bicycle enthusiast Tommy over at Bicycle Fan. Be sure to check out his amazing collection and gallery. 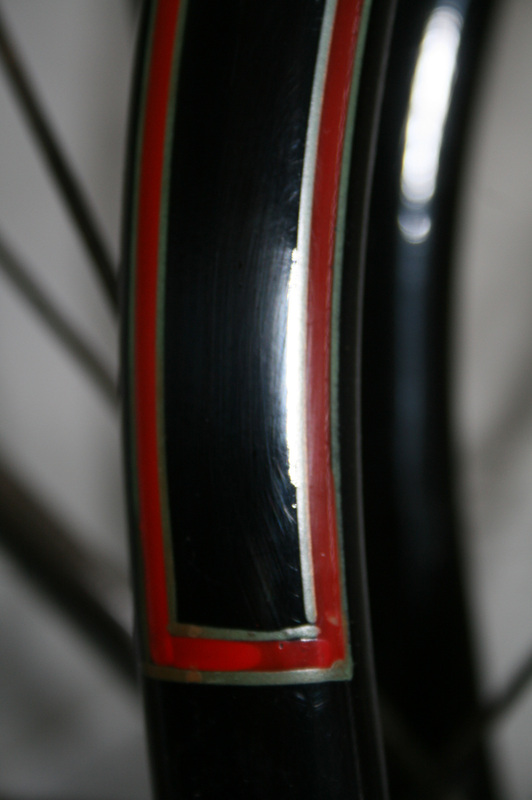 I hope that these few photos aid in a better perspective of vintage bicycles and that one can realize the craftsmanship in hand painted pinstriping. 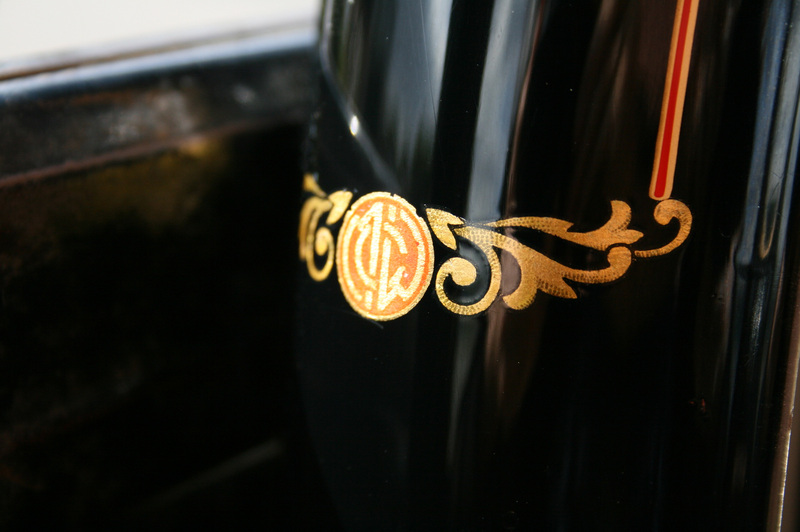 I think you will agree that the gold accent of the pinstriping is truly artistic. The last picture I find particularly interesting. There appears to be an "antenna" of some sort on the front wheel. What is that? Keen eye. My guess is that it was used as a flag pole to sport one's banner, and was only added as a conversation piece, not for authenticity. But, your guess is as good as mine. I have never seen the bike in person and only photos.